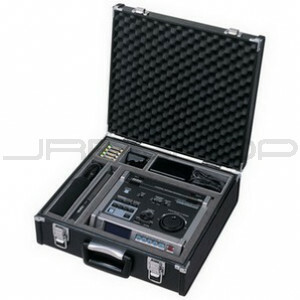 The Hard case for the R-4 is a compact, light-weight, and solidly constructed travel case for the R-4 Portable Digital Recorder. It safely holds the R-4 and all the R-4 accessories, CS-50 (Condenser microphone for R-4), AC adaptor, dry batteries in place. The R-4 Hard Shell Case comes complete with locking latches and keys, for complete protection of your R-4 and accessories.